"This is an important book that will make a difference. As we move into a new century, hunger around the globe is one of the main problems that must be tackled. Hydroponics provides one way in which groups of individuals can provide food for their families and start their own cottage industries. This form of growing food should be widely known - it can make a difference in inner city areas in the developed world as well as the developing world. This book, written in an easy to read and clear form, provides information that can really make a difference in alleviating world hunger, improving the quality of nutrition, and thus the quality of life itself, for countless thousands around the globe." Practical Hydroponics Magazine review of the book. Growing Edge Review by Lynette Morgan. 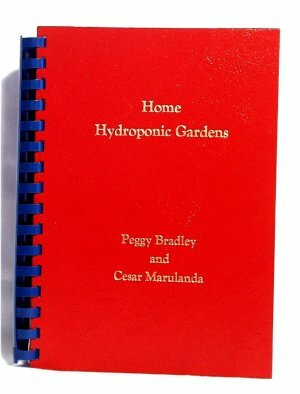 A book about simplified hydroponics or hydroponics that requires no mechanical devices. 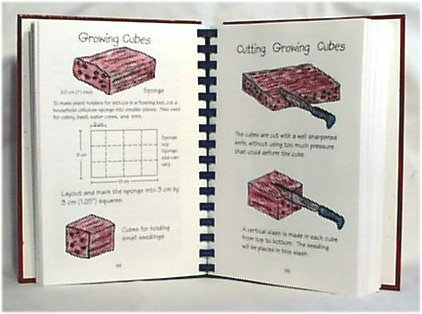 The book explains methods and construction techniques of building hydroponic gardens to provide 25% of a families daily food. Over 50 medicinal herbs, culinary herbs and vegetables are described with information on growing each in simplified hydroponic culture. The first chapter introduces people who have changed their lives with simplified hydroponics. It includes profiles of the two authors and then people who have learned and gone on to create their own gardens. 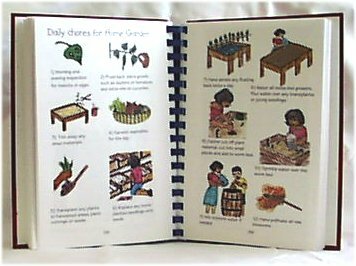 The second chapter describes a garden of 18 growers that provides all the fresh vegetables and salad greens for a family of four. The location of the garden is very important. Gardens can be grown year round in the tropics, but in the northern climates, grow outside only during the growing season. This extensive chapter describes building several types of hydroponic growers. The step by step instructions are carefully illustrated to make it easier to follow. Tub Growers, bed growers, hanging sleeves, canoe growers and trough growers are all described. All hydroponic plants have to use a growing media in place of soil. Several types of growing media are described, and other methods of supporting plants are explained. How plants gain their nutrients in hydroponics is explained. Illustrations trace how the plant uses inorganic nutrients. Sveral recipes are described for making nutrients. Sometimes it is impossible or too expensive to obtain commercial nutrients so methods of making an organic hydroponic nutrient are described. 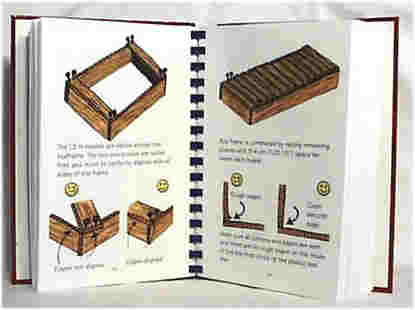 The chapter includes instructions on building and maintaining a worm farm to convert dead plant material into hydroponic nutrients. The methods of growing plants from seeds and transplanting are described. Daily chores to maintain the garden are listed. There are no weeds in hydroponics but insects are still a problem. The chapter describes sevral methods of controling insects including repeling plants, predators, and preventive sprays. Twelve medicinal herbs are described with information on growing each in hydroponics. Included are calendula, chamomile, chives, echinacea, feverfew, horehound, lavender, lemon balm, mint, pennyroyal, St. John's wort and yarrow. 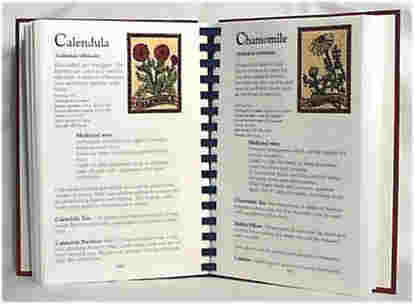 Eight additional herbs, often used in cooking are described. These include basil, cilantro, Dill, Fennel, marjoram, oregono, coriander, parsley, sage and thyme. Seven popular salad vegetables are described with information about growing hydroponically as well as information on growing and caring for the plant. They include cucumber, lettuce, peppers, spinach, tomato, watercress and celery. Ten root vegetables are described with instructions on groing each in hydroponics. They include beets, carrots, garlic, ginger, leeks, onion, potato, radish, sweet potato, turnip. Table vegetables include a wide variety of foods. In this chapter there are 13 described. They are beans, broccoli, cabbage, cauliflower, chard, chinese cabbage, corn, eggplant, melon, peas, soybeans, squash and zucchini. The book also includes a glossary and index.